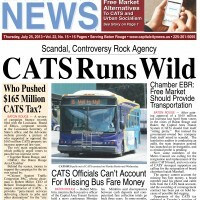 • Who Pushed FOR the $165 Million CATS Tax Increase? • Recent honors and awards: Central City News, 1st Place in Louisiana for General Excellence and 1st Place for Best News Coverage from Louisiana Press Association. Capital City News: 1st Place in Louisiana for Investigative Reporting and 1st Place for Best Front Page. 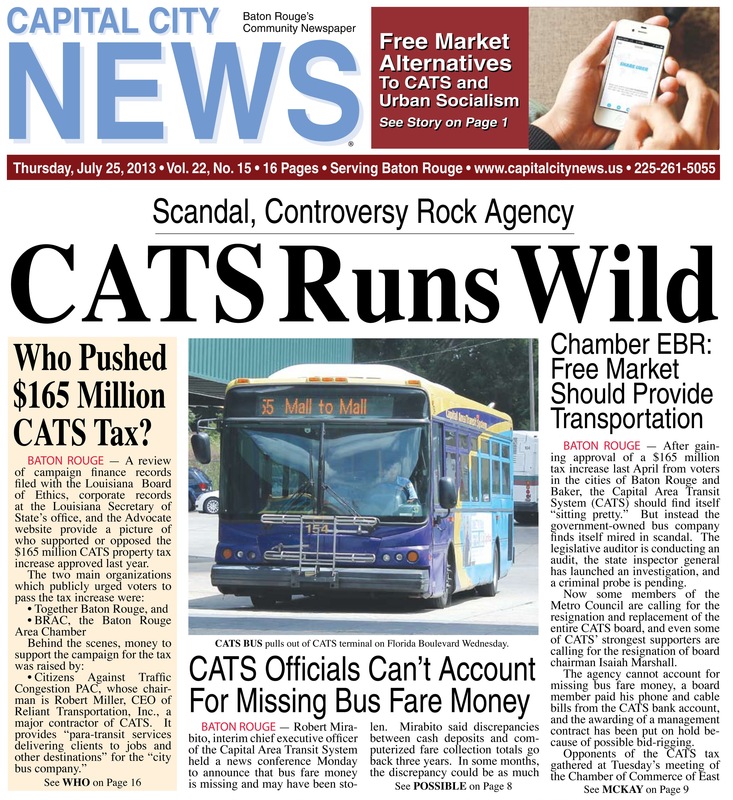 • Community Press, LLC Creates Your Specialty Publications. For information, call 225-921-1433. • To place a display or classified ad, call 225-261-5055. Visit our websites: www.centralcitynews.us (traditional website for Central City News), www.centralcitynews.net (archives of Central City News and Capital City News), www.capitalcitynews.us (traditional website for Capital City News),www.CityofCentral.com (information about Central). On Facebook, “Like” Capital City News, Central City News, Capital Republican (Republican and conservative news in Baton Rouge area), Chamber of Commerce of East Baton Rouge Parish, and Liberty Today (our national conservative news site).